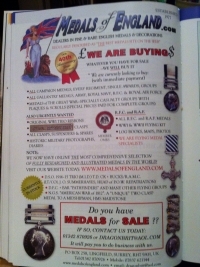 "MEDALS OF ENGLAND" is a totally independent and truly International Medal & Militaria business which was formed in 2009 as a 'twin' concern to our other well known and specialised numismatic (coins and banknotes) business "COINS OF ENGLAND" which itself was originally formed in the late 1970's. 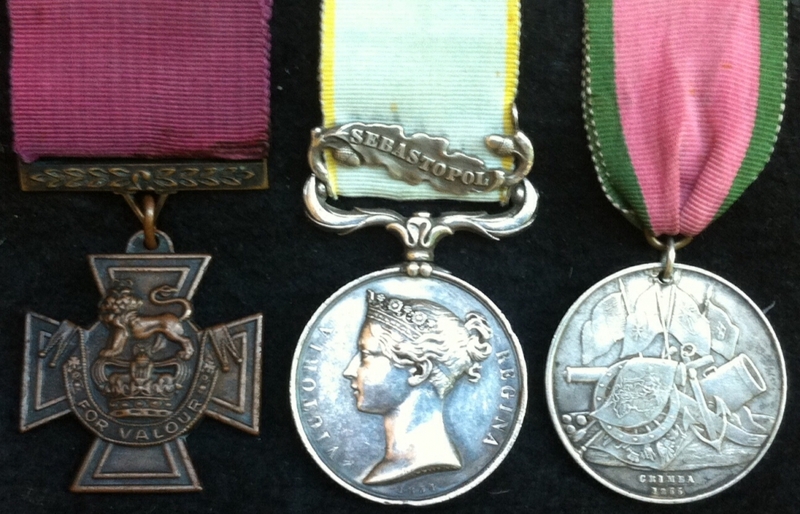 Both businesses are concerned with the location, procurement, purchase and sale of allmedals, coins, banknotes and military items of interest to keen collectors and investors. Members of the trade are also very welcome to do business with us from any part of the world. 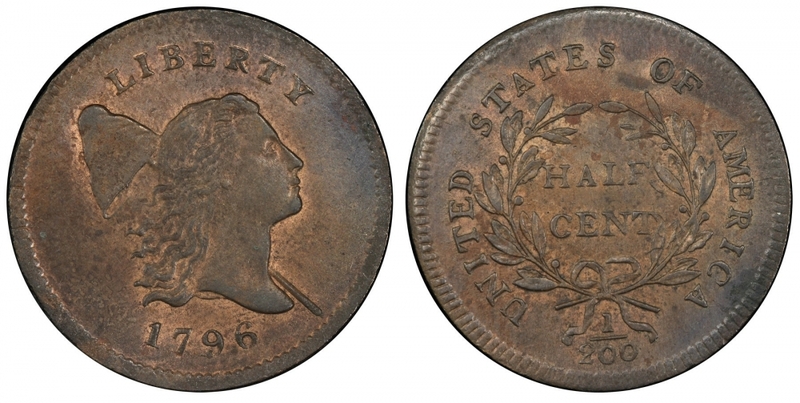 Our Director, Alan Thomas, is one of the longest served and best known numismatic experts in the world and has an entire lifetime of experience in the subject. Alan started collecting coins when he was just 5 years old when his grandad gave him a bag of old coins in 1957. He started collecting medals when he was 10 and has been a keen collector himself for over 50 years.....Alan has been a full time professional dealer in numismatics and it's many associated areas for almost 40 years and he has operated the business over many years not only from the United Kingdom but also from The United States of America where he holds the UK record for the number of US Coin & Medal shows attended. 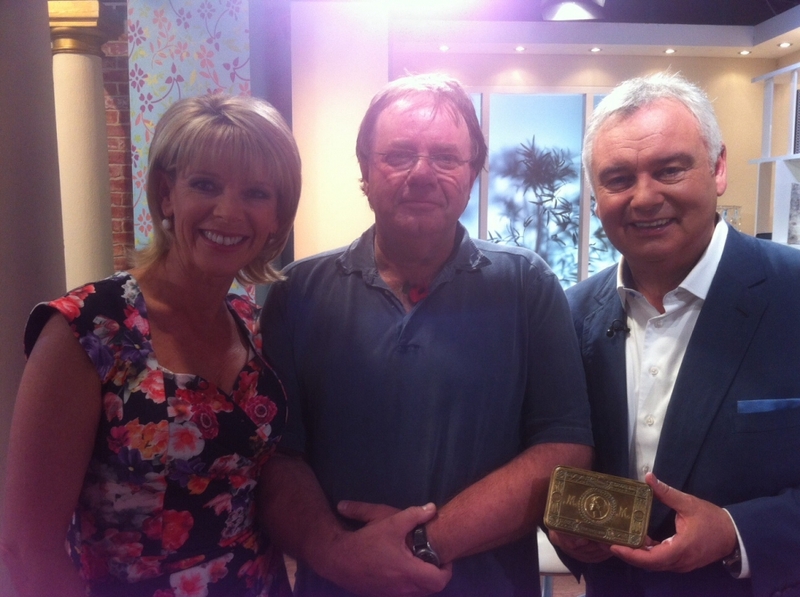 Alan ( shown here centre with Eamon Holmes & Ruth Langsford on the set of ITV Breakfast Television in London) has advised several TV & Film companies both here and in the USA on the historical accuracy of medals & coins used in their on screen productions. On this occasion he was speaking about the famous Princess Mary Christmas 1914 cigarette & tobacco brass gift boxes of The Great War. 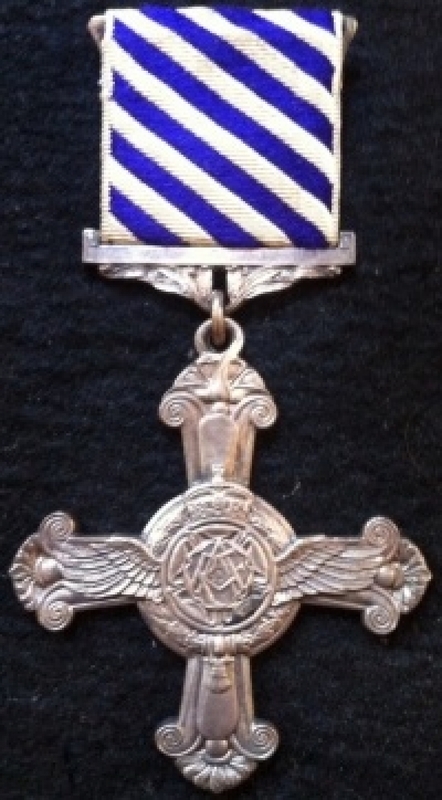 Over the years Alan has handled many famous and classic American rarities and rare English coins and medals ( including two VICTORIA Cross groups ) also rare banknotes. Alan is thus totally familar with all aspects of the retail and wholesale numismatic market and is always delighted to offer you his expertise in any way he can. 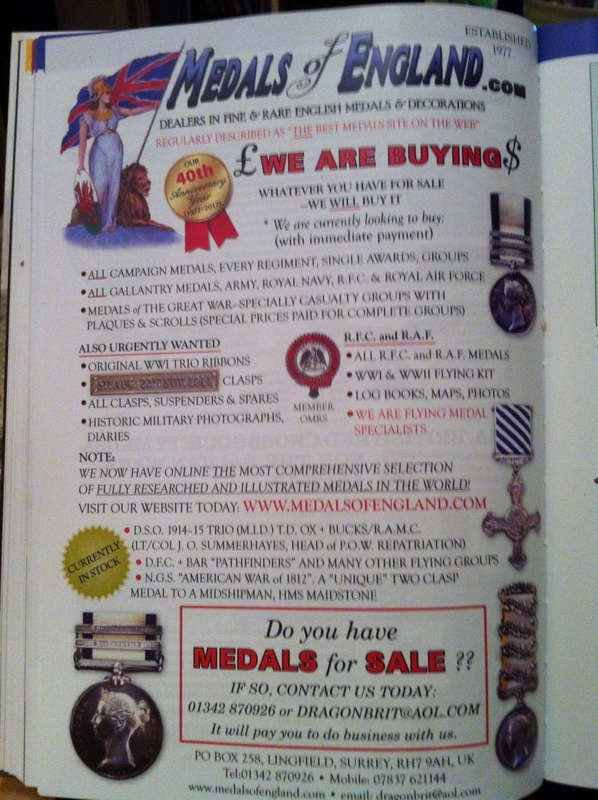 at Click here: Books & MILITARIA !!!!! After some delay (for which we apologise) we have now at long last started to list our extensive stocks of military memorabila. These items come in many cases from my own private collection. We specialise in British, German and American items from all periods and both World Wars I and II. We have a particular interest in all things "aviation" and are well known experts in RFC and RAF matters. 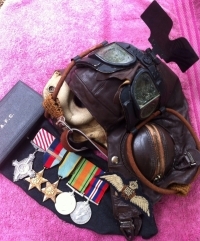 The NEW MILITARIA LISTINGS will be going up every day from 23rd August, so keep a sharp eye out for newly listed items every day over the next few weeks. We hope you will find something of interest to add to your collection and look forward to doing business with you. WE DO SWAPS & PART-EXCHANGE DEALS ON ALL OUR MILITARY ITEMS.